When you’re on the stage, you want peace of mind your presentation will go down without a hitch. Clarity Experiences handles everything — audio, video, and lighting — so your presenters can focus on your audience. We’ll worry about the rest. 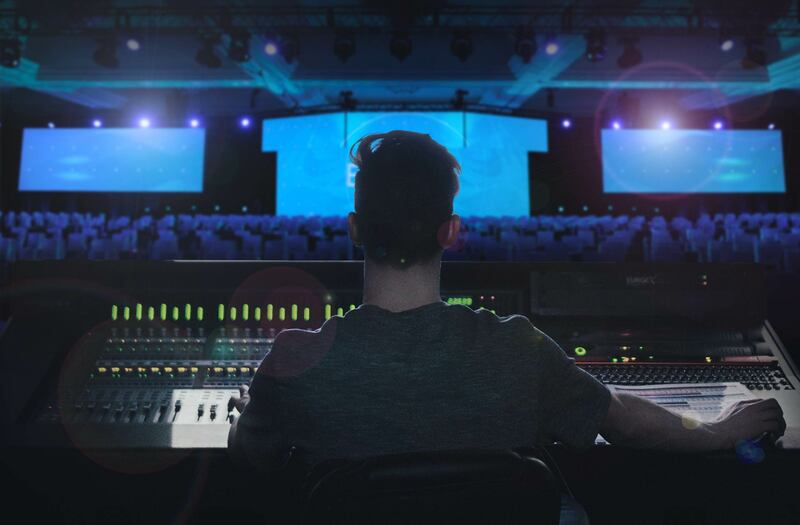 Clarity’s audio visual production team covers three key areas — audio, video, and lighting — to completely support your brand, vision, and event. Our creative AV solutions guarantee your event will be a memorable experience. Learn more below! Quality audio production is the most important part of a presentation. Clarity delivers top-notch audio equipment supported by our experienced audio engineers. We take care of everything, from smooth audio transitions to the perfect walk-in music for your presenters. Your audience will hear your message loud and clear, and every show will feel like a professional production—because it IS professional. 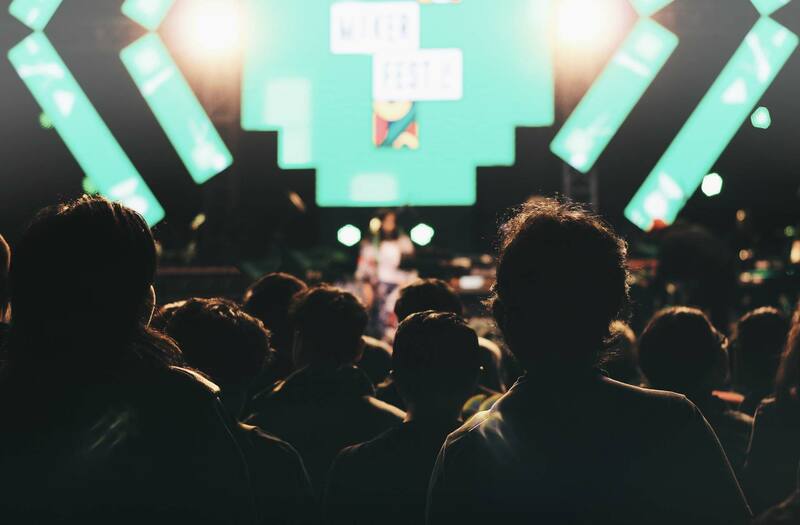 Your audience will be focused on the big screens, so you need top-notch support that meets your event’s AV requirements for presenting. 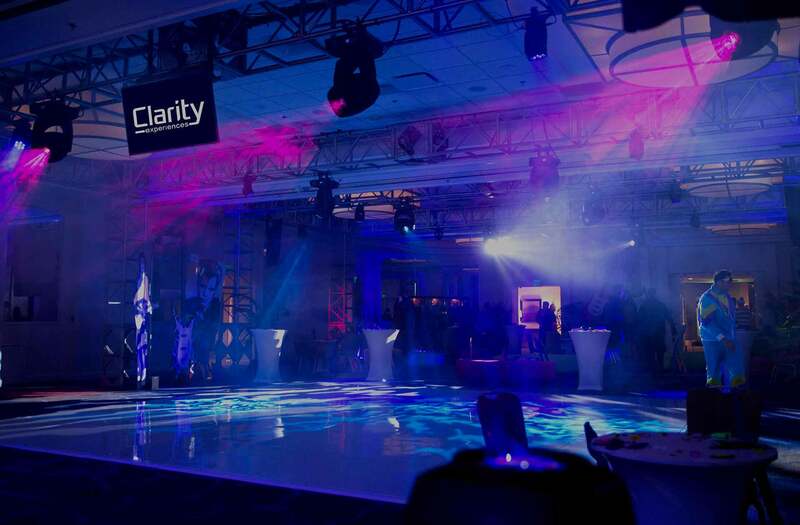 Clarity delivers professional video solutions for your event, whether it’s LED, projection, or video mapping. Our expert team knows what you need to create a memorable experience for your attendees. Lighting is the unsung hero of successful events: great lighting highlights speakers on stage, sets the event’s mood, or draws attention to your awesome content. Clarity Experiences will design and program dynamic lighting according to your needs. Let Clarity’s professional lighting team put the spotlight on you and your event. Contact us to start planning your next big event, conference, party, or product launch today.